Etch is the ideal place to indulge in artistic yet approachable food and drinks, set under a canopy of sycamores, along the banks of Oak Creek. The comfortable, relaxing atmosphere is perfect for unwinding after a day of hiking and exploring, with a handcrafted cocktail or glass of wine. From breakfast to dinner, Etch offers an abundance of food and drink items in an unparalleled setting. 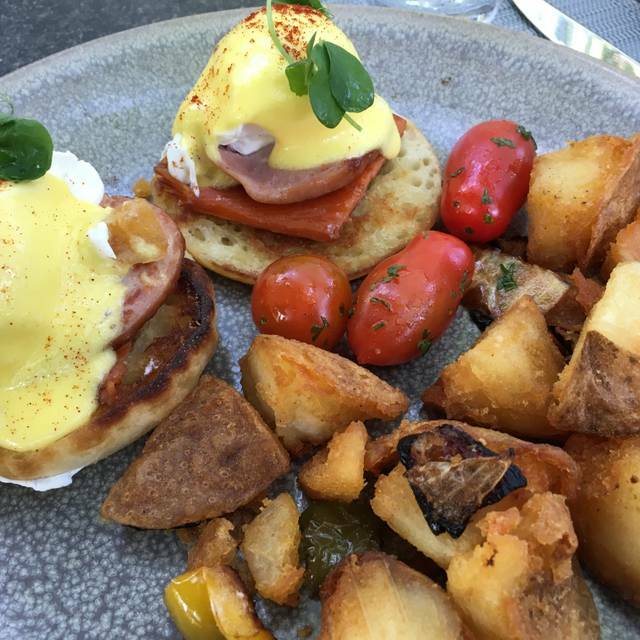 Monday - Saturday from 7 - 10:30 a.m. | Sunday from 7 - 10 a.m.; Brunch from 10 a.m. - 2:00 p.m. Very sad to report that L'auberge was a complete disappointment. Coming here for over 20 years. Hadn't been back for couple of years. Booked at Etch. When we realized how limited the new menu was I asked if we could move to the creek side for the chefs flight menu. The answer was no, even though through the 2 hour "ordeal" we were subjected to we noticed 6-7 open tables throughout the night at creekside. Service was bad and once things got bad, like the kitchen delivering the wrong food 3 times, the server pretty much took a powder. We received no refills on water for 2 hours. It wasn't until another server ask us if he could help and I explained the situation, we finally got a manager over, who, in my opinion, has the communication skills unsuited for his position. In the end we received 2 comped meals out of 7 and a apology. Simply unacceptable. Since we didn't want the $65 breakfast buffet, we were seated in an area with NO service...finally had to ask to get a server to attend to us. Our chicken & waffles were quite spicy and good, but despite repeated requests, never did get a refill on my $8 cup of coffee. Outrageous prices for what we were served. And it wasn't that beautiful of a place. Do not recommend. There are other places in Sedona with as pretty or prettier views. 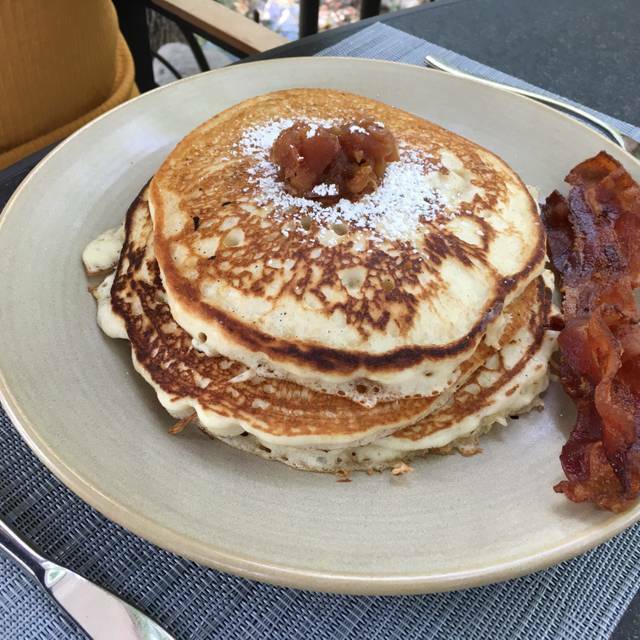 We have been hearing about L’Auberge for years and decided to try it for breakfast this past Sunday. We were in Sedona to celebrate my birthday and it seemed like the perfect place for our final meal before heading home. We had requested Creekside dining but when we arrived for our 9:45 reservation we were informed that outdoor seating was not yet available. We were seated at a window table with a beautiful view and that was fine. I ordered an omelet and my husband ordered the avocado toast. The service was extremely slow and we asked our server to check on our order several times. Each time he apologized and said the kitchen was backed up due to a couple of large parties. When our meal finally arrived, my omelet was lukewarm as if it had been sitting in the kitchen for a while. It was delivered without my toast and I had to remind my server to bring it. We both found the meal to be just average, the service very poor, and as we had expected, the prices higher than average. Of course, the setting was magnificent and for that reason I’m glad we went. This place was clean, crisp and fresh. The pressed juices were tasty as well as the breakfast. Atmosphere was great, even though it was outside only seating and there was no mention of that during the booking. They had heaters and offered blankets. Service was excellent. Edwardo, the manager came over and greeted us. Our server, Madeline, was excellent. Food was questionable. Burger was good, but priced at $24 makes it the most expensive burger I have ever had! My wife and friend had the lobster roll. It was nothing more than a small bit of lobster on a hotdog bun. Very dry, and at $29, not much of a value or very tasty. At such places we expect near perfection. The Ambiance definitely met that expectation. The food was excellent but a little under seasoned. The service was for the most part very good but they did leave dirty dishes on the table during our entire meal. Had been bragging about this place to my daughter and finally took her there. The Hostess was not very friendly. We waited a half hour for a table when we had a res - strike 1. Zero communication between our two waiters so we waited forever for a salad to come out and then were waiting and waiting for main course only to have the new waiter say “should I put your second course in?”....are you kidding me? This is a restaurant that is part of the esteemed L’Auberge and I am supposed to be managing my dinner? It finally comes and the steak is over cooked and the rice is stone cold. I took one bit and pushed it away. The waiter noticed I was not eating and came over and said “I know, we won’t be charging you for dinner tonight”...I got up and left without leaving a tip....something Ive never done in my life! Maybe the kitchen was having a bad night? Who knows. Our server was very nice but a simple dinner with an appetizer and a burger and a salad for entrees took us over 2 hours. Everything was slow and the food had the potential to be good but everything seemed to be over or under cooked. And then the bill came and it was shocking how expensive it came out to be. We ate at other comparable Sedona the next two nights and ate much better food and the bill was less. Don’t waste your time or money eating there, there are plenty of better restaurants elsewhere in Sedona. There is no creekside dining for dinner. It is just the upper desk. Limited and very expensive menu items with no side vegetables. Service was just okay. Nothing special here. Disappointed. We went for breakfast. Very nice experience. The location is beautiful. There service and food were excellent. Highly recommend! The view and ambiance were outstanding, as always. The food mediocre and overpriced compared to other establishments. Service average. I asked three times for a fork, never received. I'm in a position to recommend food and recreation options to many out of town clients. This was a disappointment. Beautiful restaurant by the creek. The place is chic and elegant, but over all is peaceful and the service is outstanding. We have been there after our wedding, we wanted to unwind in Sedona and found the perfect spot! In all honesty, we actually left the restaurant after reviewing the actual menu, which differs from the online menu presented here. I think they may have given us the Cress menu, which we struggled to find anything to eat..perhaps our palettes are not sophisticated enough to truly appreciate the menu. Had we seen this online menu, and given that option, we probably would have stayed. That said, we had reservations for 730pm, arrived at 720pm, hit hostess stand, told to wait, approx 30 minutes later, got a table after we, for the 2nd time, reminded them we had reservations. At no time, did anyone offer us a drink/water or even a hello. Very snobbish. Once seated, it took several minutes, of various servers walking by, before we were even offered a glass of water. During this time, the wife and I reviewed the menu and made a decision to simply leave. I told the hostess our reason, stopped at the front desk, asked for a referral to another place to eat in Sedona with real, decent food, and that is what we did. I would have loved to dine there, the setting was great, lighting perfect and the sounds of Oak Creek were calming. We won't be going back because we live in Charlotte, and were in Sedona on a vacation and heard so much about this place. So, before you go, verify the actual menu and determine if it comports with their online menu and save yourself some hassle. Also, be prepared to wait and take matters into your own hands to get services, etc. I'm sure it is a fine dining experience we just could get into it..
beautiful venue with river right next to tables, delicious food, great service. Lovely low key atmosphere for easy dinner. Sat on terrace and can hear water rushing in creek below . Menu interesting and every course was great. Skip tart tartin for dessert — too creative and cannot be shared. Late March still need heaters for dinner. 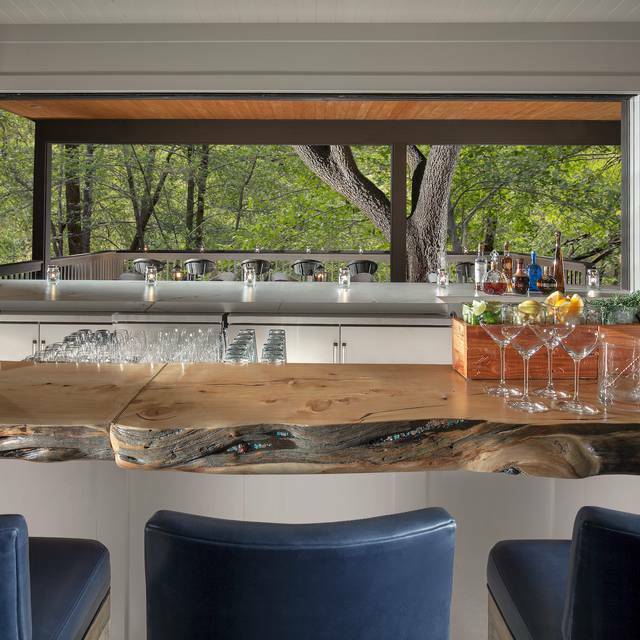 Creekside seating, outdoor heaters, sunset under the trees -- hard to ask for anything more. But then the food came! Good experience with friends in a casual setting. I was completely thrown off and disappointed that Etch was basically the same restaurant as Cress but just different seating selections. It almost made us feel like second class citizens for a very pricey meal. The service was excellent, the food was good but the portion wayyy too small for what we paid. We were celebrating our 1 year wedding anniversary so I chose to enjoy it but I would never go back. Etch Kitchen and Bar was very enjoyable place to eat. The food was delicious and well priced. First of all, let me say that the venue is gorgeous and perfectly placed by the creek. I had read many good things about this restaurant, and was looking forward to a wonderful meal on the patio/deck. When we arrived, no one greeted us. At all. We had to ask where to check in. We went to the station (on the other side of a wall), to check in and see when our table would be ready (we had arrived early thinking to have a pre-dinner drink by the creek). The young ladies were very nice, and advised us to sit at the bar. When we went to the bar, we were ignored for a good 10 minutes. Finally, we got someone’s attention, and were able to obtain a drink (at a NYC cost - $20/martini - WOW). The bar was totally understaffed, but again, they couldn’t have fit anyone else behind there anyway. We took our drinks down by the creek, and someone had very nicely lit a propane heater for us. All good, mostly, so far. We finally sat for dinner, and we were sharing dishes (as women often do). We ordered wine and a bunch of dishes for dinner. Our waiter was given the rest of the night off, and we were passed on to two other people, who were very unconcerned about us. The food was mediocre at best and there was not a lot of it. The salad was very fresh, but when the best part of a meal is the salad, that’s not a good thing. On the way out, we saw the manager. We thought to say something to him, not looking for a reduction in our bill at all, just that he should know what the night was like. He was very nice, and did reduce our bill, though we were emphatic that we were happy to pay for everything we ordered. He was apologetic, sympathetic and understanding - in all, a good manager. Would I go back? Yes. I’d give them another chance. However, my impression is that they are riding on their reputation and not working to constantly improve or impress. If you’re looking for a wonderful place to have a drink by the creek, this is it. Dinner? Maybe in their full restaurant. Not sure. The experience was not what I expected of an upscale restaurant and bar. The service left a lot to be desired and the food was over cooked and cold by the time it got to our table. Jessica the assistant manager at Cress tried her absolute best to make the experience better however too many issues with the staff and kitchen made it hard to recover. We were very disappointed by our experience at Etch this past Sunday. 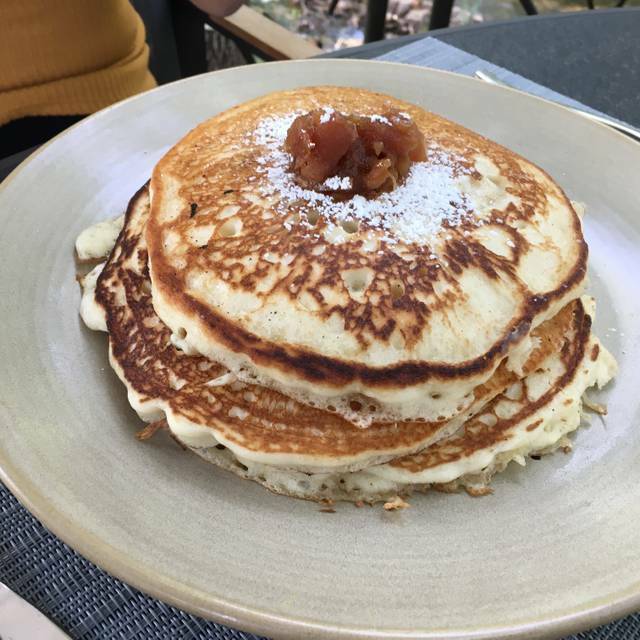 I had only eaten at L'Auberge once before for lunch and it was lovely, which is why when family was in town for one day I made reservations and because that one day was a Sunday it ended up being brunch. Not the restaurant's fault but high water in Oak Creek made sitting on the terrace not an option, so that was disappointing as it was the main reason I wanted to eat there but we understood of course. When we made the reservation for 1:30 no one mentioned that the brunch ends at 2. When we checked in the hostess did not mention this. Our server did not mention this when he explained the option of brunch buffet or a la cart menu. We were dismayed after 15-20 mins after seating we told that the buffet would be removed so and it was "last call"! For $65 one with a reservation one should be able to enjoy one's meal! When the manager was requested and came to the table and I explained my concern, his response was, essentially "Well, I'm new here so I am not sure what I can say or do." Ridiculous. As it turns out they removed our 3 cocktails from the tab but we were nonetheless rushed through our meal. In all of this: the food was uninspired and super boring. My prime rib a la cart was a slice of PR with mushy dollops of stew peppers (theoretically ratatouille) and frozen-then-roasted potatoes. The meat was fine I guess but it was a $32 slice of PR. It was so lovely several years ago, but last Sunday it was overpriced, overacted and a waste of time and money. I wish we'd just gotten tacos somewhere! We had confirmed, via email and text message, reservations for 4 at 6 pm on Thursday March 7, 2019 via Open Table. Upon arrival the hostess said we did not have reservations. I showed her both the email and text confirmations. She continued to refuse the reservation and failed to apologize. Nonetheless, given the restaurant was nearly empty I gave up and said there's plenty of tables so please just seat us. She then took us to a closed off, very hot table by the fireplace. When I asked to be re-seated she refused. We got up, departed, and had dinner elsewhere. Put simply, the lack of service from the hostess was horrendous for a reportedly distinguished hotel and restaurant. Worse yet, there was no reason for this to occur in the first place so I am left scratching me head. I fear the fact that my wife and mother-in-law, who are Puerto-Rican, were the result of such treatment, as a result of discrimination. Very disheartening. The food was very good but the service was even better! A great place for a family get together - food was great! The ambience of this restaurant was delightful. Most of the seating is outside on decks next to the river. Unfortunately this area was closed on our visit due to recent flash floods, but the inside was quiet and elegant, and if we opened the window next to our table we could hear the Oak Creek clearly. The menu was creative and delicious. We will definitely return. 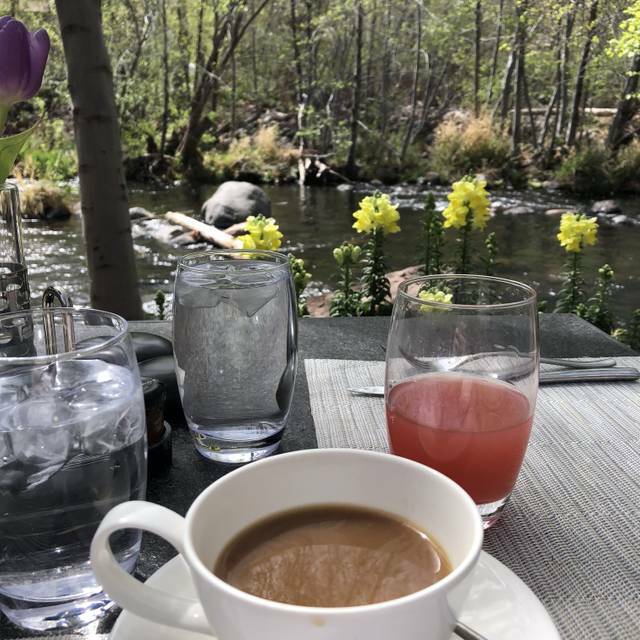 My husband and I celebrated our last day in Sedona with a late lunch in the warm sunshine on the deck overlooking the creek. A sparkly glass of Prosecco, the spicy shrimp flatbread (our favorite! ), deviled eggs, and the chopped salad made the meal very memorable. Thank you! Beef sliders with raclette cheese? Fresh fruit with tajin seasoning? Heirloom tomato, squash, eggplant toasted brioche panzanella? How could it not be amazing? Food was excellent!!!! View was lovely, sitting over the creek. I highly recommend the spa at L’Auberge too. Best think was out waiter Mikiel- exceptional service!!! It was okay... folks were friendly and nice.. i had a good bottle of wine....hit em high and straight. Cocktail specials very pricey and not too tasty. Gin and Scotch prominent and limited choices otherwise. Hostess was great. Server was condescending. Food too highly priced for the lack of impeccable service. We agreed with prior reviews that the onion rings were amazing. Cheese plate was very good with fresh preserves and honey, but portion small for the price. Tart tatin dessert was horrible. It would have been good before it was ruined by the ginger beer overpour. It ruined the taste completely. Would not go again unless someone gives us a gift certificate. The food was incredible and the service was above expectation. We were treated to a unique delicious amuse bouche, and rosemary bread course before our meal. The onion rings were by far the BEST i have ever had! Nice and crunchy, really big but cooked so well it wasn't onion-y. The burger and fries were better than expected as well. Cooked perfectly and the burger was topped with a tasty cheese sauce. I usually use a ton of ketchup and mustard on my burgers, but this one didn't need it. I will definitely return, there's so many more options I want to try. Beyond wonderful! Perfect setting and delicious cuisine! My husband and I visited Etch during our trip to Sedona. Overall, we were left confused. The food was not bad, in fact I would say the overall quality is good. The side dishes and cooking options are what was confusing. My husband had the salmon which came with clams in a bowl with broth. The salmon was place on top of 3 corn pieces to ensure it was not in the broth and hence soggy. It tasted fine but felt incomplete, as there weren’t really any sides? I had the squash panzanella salad which was cold, which I expected. I added chicken, which I overheard is sous vide and then grilled but the skin was soggy... however the chicken was tender. The dressing was an attempt at what appeared to be a pesto however it was flavorless and lacked salt. Overall, our experience was not bad but we would not return for the price we paid for an incomplete meal. Beautiful restaurant, delicious food and excellent ambiance. Our server was very attentive and the food came out expediently. We enjoyed our lunch —the waiter was very good. Would be wonderful to sit outside but, unfortunately, it was way too cold the day we were there.